Champion Aerospace Aviation Spark Plugs are the preferred ignition spark plug for reciprocating engines. Advanced-engineered Champion Aerospace spark plugs, designed for the critical difference in performance, are far beyond the ordinary. Champion Aerospace spark plugs stand up to high temperatures, pressures, and lead deposits with performance that’s second to none. When you’re up in the air, count on quality Champion spark plugs. For even higher performance engines, choose longer-lasting Iridium “S” spark plugs. Longer lasting than platinum spark plugs, Iridium “S” plugs resist lead attack and provide better scavenging than standard platinum plug designs. Iridium “S” offers exceptional performance, even under the most demanding conditions. A major benefit this design offers is a quick turnaround during a forced emergency outage. In 1974, the first Champion-brand spin-on filter was introduced. Today, Champion Aerospace distributes Champion-brand spin-on oil filters and element filters that incorporate a semi-depth filter media. 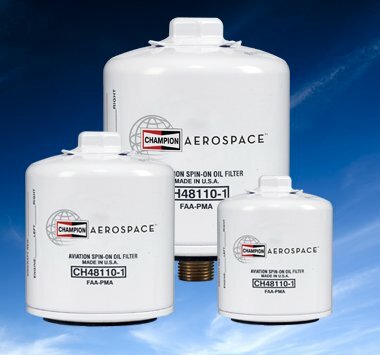 Champion Aerospace Oil Filters combine the advantages of both surface and depth-type filtration to enhance high efficiency, controlled porosity, water resistance, and resistance to impulse and flow fatigue. Champion brand oil filters are known to keep dirt and harmful particles from damaging your engine. Plus, no other filters on the market have Champion’s unique resin-impregnated, full-pleat design that offers 8.2 feet of layered protection for your engine. At Champion Aerospace, we’re always looking for ways to make our aviation products better. Add Slick Magnetos to our impressive list of high performance aviation products. Slick Magnetos are endorsed by today’s top aviation mechanics and are renown for their reliability and service life. The Champion Slick Magneto features a lift-off housing so internal timing is not disturbed during inspections. Simplified internal timing improves internal markings, and the unique Slick E-gap tool makes timing easier and more accurate. Slick Magnetos have fully sealed bearings, keeping contaminants out and grease in for smoother operation and less maintenance. Lower EMI levels and a redesigned housing improve sealing and less radio noise. Most importantly, Champion Slick Magnetos are OEM approved. Slick Magnetos are available for more than 225,000 engines – all compatible with existing Slick Ignition Harnesses. 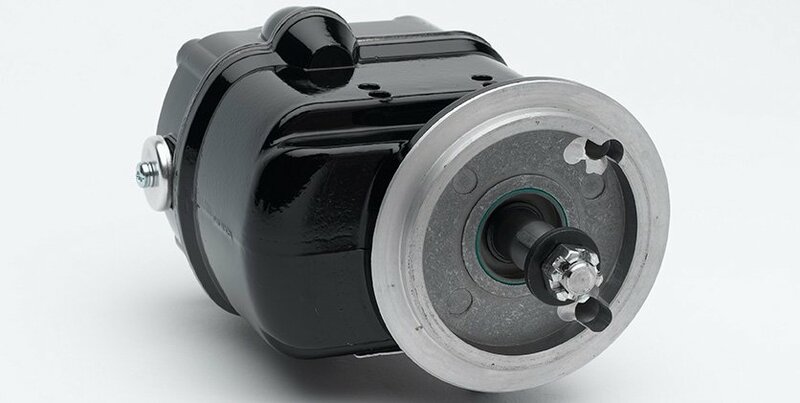 Get the ignition system that meets your needs for simple maintenance and quality performance. 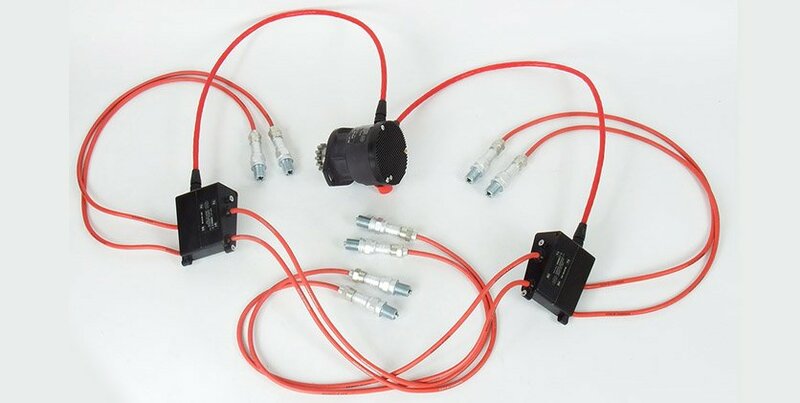 The aircraft ignition harness carries an electrical current from the aircraft magneto to the spark plugs. An aircraft ignition harness is shielded to support and protect the wires from damage and to act as a conductor for stray magnetic fields. This in turn will minimize electrical interference with sensitive electrical equipment on the aircraft. FAA-PMA approved Slick Harnesses by Champion are built to handle the maximum spark energy produced while delivering more energy than is required by the spark plugs – even during emergency full-power engine operation. Using anything less could result in more than a 50% reduction of radio sensitivity in commonly used communication frequencies, as tested by Champion. 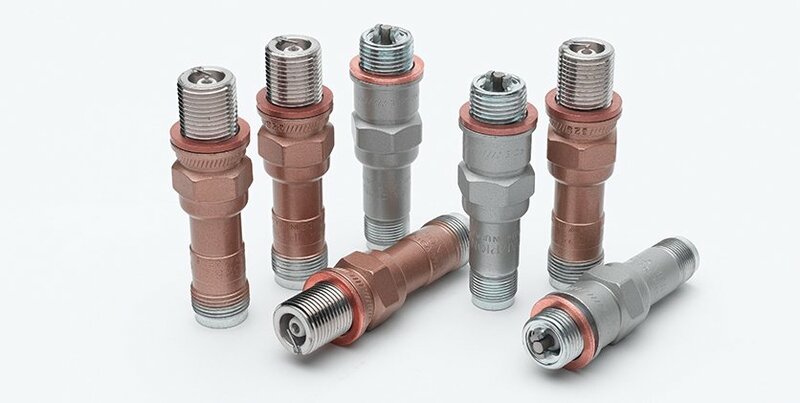 Features such as a heavy-gauge contact spring provide more contact area and force inside the spark plug, while the flexibility of the coiled center conductor reduces fatigue and breakage resulting from repeated temperature cycling and vibration. 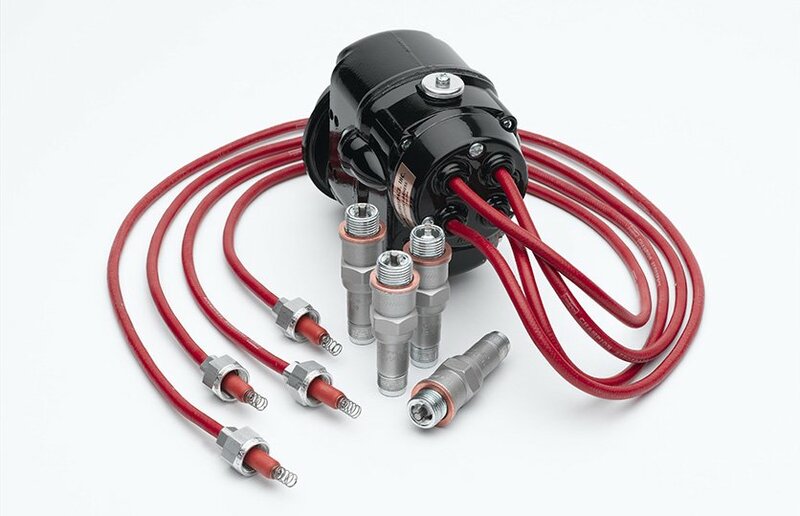 Champion Ignition Leads have a polymer coating to resist heat and are engineered for high-temperature environments, which is common in reciprocating engines. Champion Aerospace developed a Lycoming Piston Engine Solid State Ignition System, CH42PR20A, in 2010 for the Light Sport Aircraft program. This ignition system design can be tailored for use on experimental aircraft as well. At the system level the design consists of a control module assembly and two capacitive discharge module assemblies. Both assemblies are packaged within anodized aerospace grade aluminum housings for mechanical strength, environmental and EMI considerations. The design is interchangeable with the traditional magneto and has two redundant electrical power and control channels. The unit is powered at low RPM by aircraft bus power and then is self-powered at the targeted internal permanent magnet alternator assembly (PMA) takeover speed to avoid burdening the electrical bus during flight. The control module contains two surface mounted PCB assemblies, traditional style magneto shaft and bearing assembly, a sensor assembly and the PMA assembly. The capacitive discharge ignition (CDI) module assembly receives a low voltage input from the control assembly and steps the voltage up to traditional magneto output levels. The delivered energy can easily be configured to customer requirements for improved ignition performance. The high voltage harness assemblies are compatible with traditional harness designs. Any Champion Aerospace Spark Plug Assembly can be used with this ignition system design. Champion Areospace Aviation Spark Plugs are the preferred ignition spark plug for reciprocating engines. Advanced-engineered Champion Aerospace spark plugs are designed for the critical difference in performance, far beyond the ordinary. Champion Aerospace spark plugs stand up to high temperatures, pressures, and lead deposits, with a performance second to none. When you’re up in the air, count on quality Champion spark plugs. For even higher performance engines, choose longer-lasting Iridium “S” spark plugs. Iridium “S” is better than platinum and resist lead attack and provide better scavenging than standard platinum plug designs. Champion Aerospace Iridium “S” delivers exceptional performance, even under the most demanding conditions. Champion turbine igniters are a product of the Champion Aerospace commitment to the highest standards of quality and technology – a commitment that has made Champion the #1 igniter choice of engine manufacturers, maintenance technicians, and pilots around the world. Champion continually seeks out emerging materials (ceramics, super alloys and precious metals) and technologies to deliver the highest capable performing igniter in today’s demanding commercial and military engine applications. These efforts are driven to ensure the longest life and highest reliability possible to provide the lowest cost of ownership as compared to competitive offerings. With more than 300 different engine designs, these igniters are specified as original equipment on products from Honeywell, General Electric, CFM International, Pratt & Whitney, Pratt & Whitney Canada, Williams International, Siemens, Rolls-Royce, and Turbomeca. 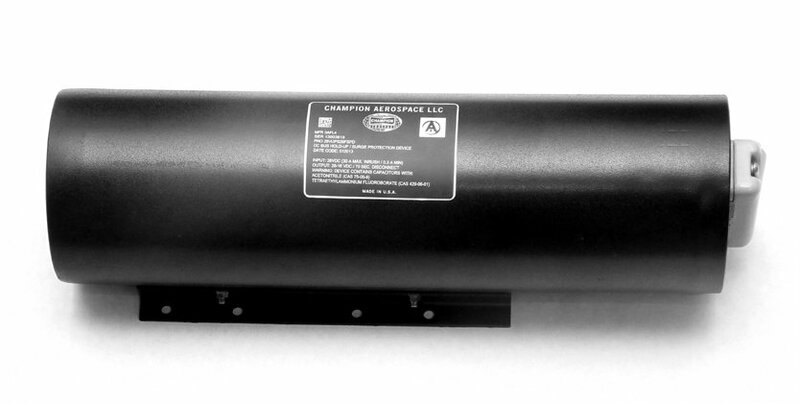 Champion Aerospace manufactures a broad range of high-performance inductive or capacitive discharge ignition exciters in configurable, customer driven designs. Champion offers traditional spark gap technology in legacy products, but has transitioned to pioneering designs solely utilizing solid-state technology incorporating our patented multi-voltage “Spider Switch” or new (patent pending) Solid State Spark Gap (S3G) design to maximize reliability, efficiency and capability while minimizing weight. The S3G is a newly introduced concept that is virtually a “plug and play” device into legacy or new applications requiring radiation-free assemblies. Champion offers repair, recertification, and overhaul of exciters through our FAA certified repair station. 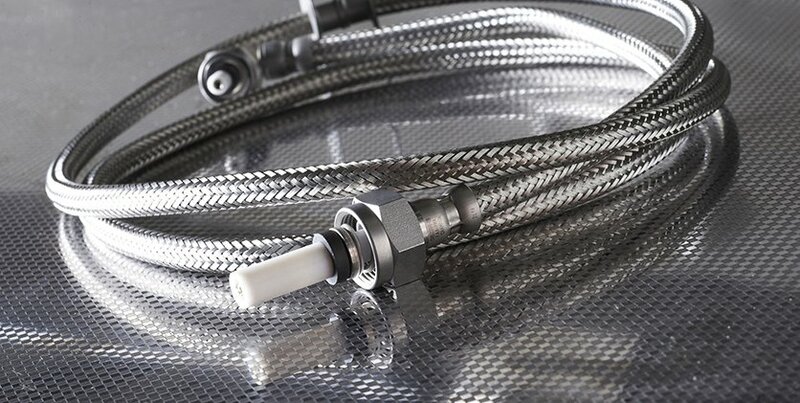 Champion Aerospace designs and manufactures a full range of aerospace ignition leads for turbine engine applications. New ignition leads from Champion Aerospace are available for a wide range of turbine engines, from small turbine to the largest turbofan engines. Champion supplies the turbine aftermarket with top-quality, cost-effective replacement leads, and offers a lead overhaul program, which is a unique maintenance alternative. Regular, preventive maintenance helps avoid costly, unscheduled maintenance caused by worn turbine ignition lead components. 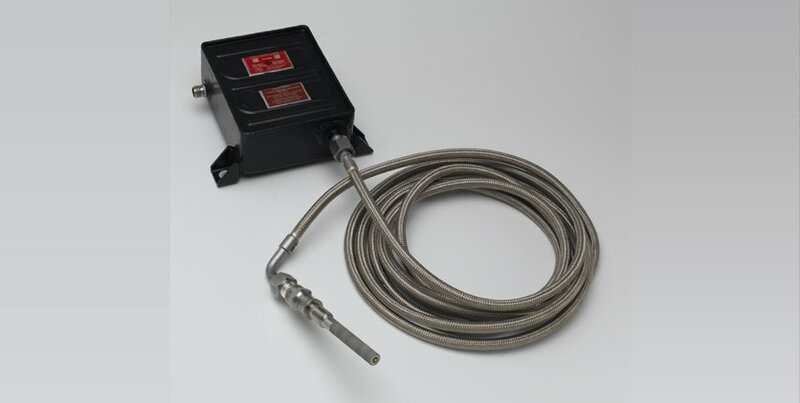 Ignition leads often do not appear worn, but have damaged shielding, insulation, or termination connection component that can lead to imminent failure. Whether you buy new FAA-PMA approved replacement leads or choose to overhaul your current leads, you are assured of quality, prompt delivery and maximum performance/reliability. Contact your authorized Champion distributor to enquire about Champion’s Ignition Lead Exchange Program. Champion Aerospace is a global leading manufacturer of aero, marine and industrial ignition systems for turbine engine powered applications. 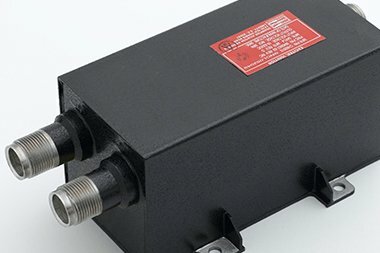 With more than 300 different igniter designs, 150 lead designs, and more than 50 exciter designs, Champion’s ignition system products are specified as original equipment on products from CFM International, General Electric, Honeywell, Pratt & Whitney, Pratt & Whitney Canada, Rolls-Royce, Solar, Siemens, Sundstrand, Teledyne, Turbomeca, Volvo, Westinghouse, and Williams International. Champion Aerospace also produces ignition systems for global industrial and marine based endusers, including land and marine power plants; oil, gas, and coal furnaces; oil rig operations; and pumping stations. Champion can provide Industry Certification compliant ignition system hardware for hazardous environment requirements (i.e. CSA, CE, ATEX etc…). There are three components of a turbine engine ignition system: the exciter, the ignition lead, and the igniter. The exciter takes input power from the aircraft electrical system, steps up the voltage, stores the energy and switches a high voltage output signal through the ignition lead to the igniter. The igniter sparks once its gap is ionized and the field between the center electrode and igniter shell breaks down. Champion’s ignition systems are optimized to reduce to total cost of ownership for the end user. Many of its exciters incorporate solid state switching technology to extend the on engine life of the exciter and to provide the ideal electrical waveform to assure reliable engine starting. Champion’s ignition leads, where possible, are matched to its exciters and igniters to minimize line losses within the system. They offer higher delivered energy than similarly constructed competitive brands, with less flashover and greater electrical shielding. The igniter designs benefit from over 100 years of spark plug and igniter design and manufacturing experience. The result is the longest lasting, most reliable igniter designs in the turbine engine industry. When the job has to be done, we always say, do it right. Doing it right takes more than desire, it takes good set up tools. 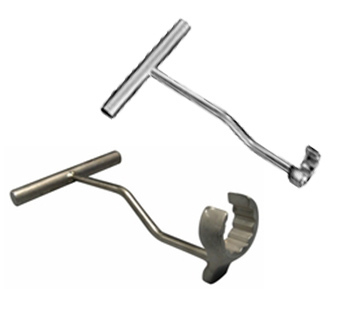 These tools are designed to do a specific function and help make the removal and replacement process easier and less time consuming. Aircraft engine repairs are some of the most critical and technical repairs in the world of piston engines, and the right tools are as important as experience. To ensure that our aviation technician customers have access to the right tools for all ignition repair projects, Champion Aerospace has partnered with (Tools) to offer you the most comprehensive collection of tools specifically designed and engineered to work on aircraft engine ignition systems. 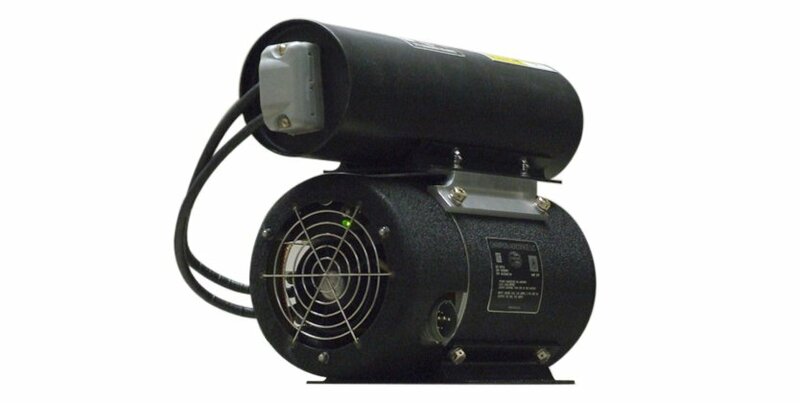 Since the 1950s, Champion brand power supply (TRU) products have been trusted for commercial and military airborne use. 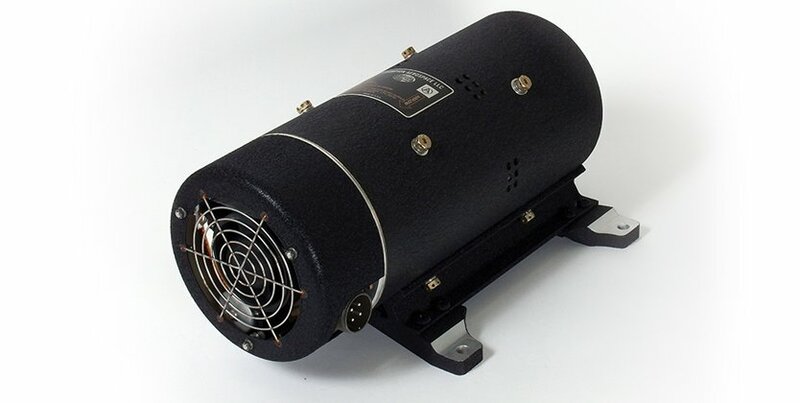 Champion Aerospace has pioneered a power supply system described as a Passively Controlled Transformer Rectifier Unit (PCTRU). Champion’s PCTRU provides higher power quality than a regulated TRU by delivering low ripple voltage, transient voltage surge suppression, high efficiency and the highest reliability without the added failures modes inherent to regulated TRUs. This higher quality power eliminates faults, increases operational time and performance, reduces operational cost, and increases safety. Champion’s PCTRU exceeds power quality requirements of industry standards. Power Interruptions are Known to Cause Equipment to Re-Boot, Restart, or Fail Catastrophically Resulting in temporary or Permanent Loss of Avionics and High Maintenance Costs. Champion Aerospace has pioneered a unit to provide Uninterruptable DC Power for Avionics to “Ride Through” AC Bus Transfers, Voltage Sags, and Other AC/DC Power Interruptions. Champion Aerospace is preparing for the age of the More Electric Aircraft (MEA) or All Electric Aircraft (AEA) by transforming its highly pedigreed 28VDC Transformer Rectifier Unit (TRU) to a 270VDC or 540VDC Power Supply system to support operation of new electromechanical equipment that will replace traditional pneumatic or hydraulic power. This operating voltage provides improved electrical efficiency, drives lower aircraft weight, improves aircraft safety/reliability and provides positive environmental impacts. 270VDC is accomplished by rectifying the traditional 3 phase 115VAC 400Hz line-to-line voltages via typical AC-DC conversion methods that meet requirements of MIL-STD-704. Our goal is to be the preferred supplier of aerospace ignition systems and airframe power components. We strive to deliver superior products and services to our customers. We have a culture based on values that encourage the continual improvement of our products, processes and quality system. We are dedicated to this mission.